10 A.M. UPDATE: Department of Water Supply reports that repairs are complete for the Water Line break in Waiakea and the system is refilling. Customers may notice air in the system and milky appearence that will clear as the system returns to normal. The water is safe and crews will continue to monitor the system. 9 A.M. UPDATE: Department of Water Supply reports a waterline break is affecting the area between Kīlauea and Kino‘ole and Palai and Haihai St. in Hilo with low water pressure. Repairs are projected to be completed around mid-day. 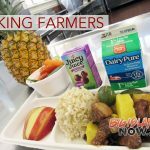 Original Post: The Department of Education reports school is closed today for the Waikeawaena Elementary School until further notice. Teachers will remain on campus until all students are picked up. 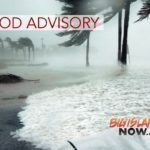 Department of Water Supply reports a water outage between Kawailani and Haihai and are responding to determine the cause.